Winter is a great time to practice our tree identification skills. To learn more about winter tree identification, check out this free downloadable PDF. It includes numerous species, pictures, distinguishing features, and more! By the way, can you venture a guess as to which tree is pictured here? If you said serviceberry (Amelanchier sp. ), you are correct. 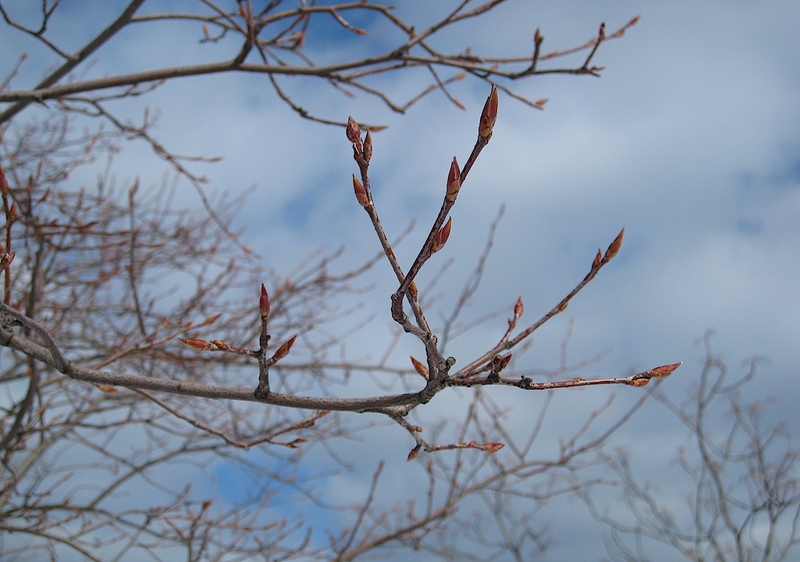 It possesses an alternate leaf arrangement with pointed, reddish winter buds that grow to 1/2″ in length. Serviceberries are planted all throughout Pittsburgh, offering delicious food not only for the wildlife, but for us as well. Check your favorite spots in late spring/early summer, and don’t forget to bring your berry basket!